Posted On March 24, 2015 by Team iCynosure. 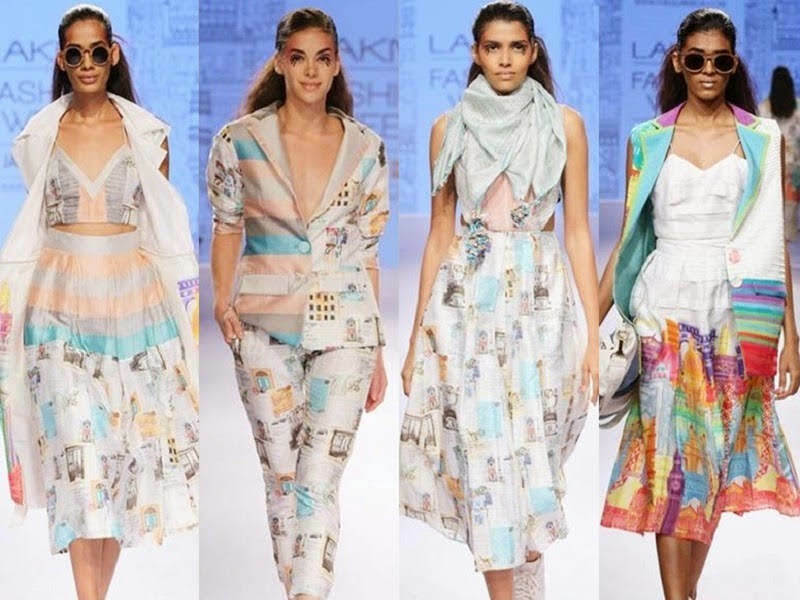 The Lakme Fashion Week enters its 15th year giving the Indian Fashion industry a much worthy platform to showcase their talent. The recently concluded Summer Resort edition gave fashion enthusiasts a lot to look forward to with some amazing collections from established designers and some outstanding collections from new-upcoming designers. 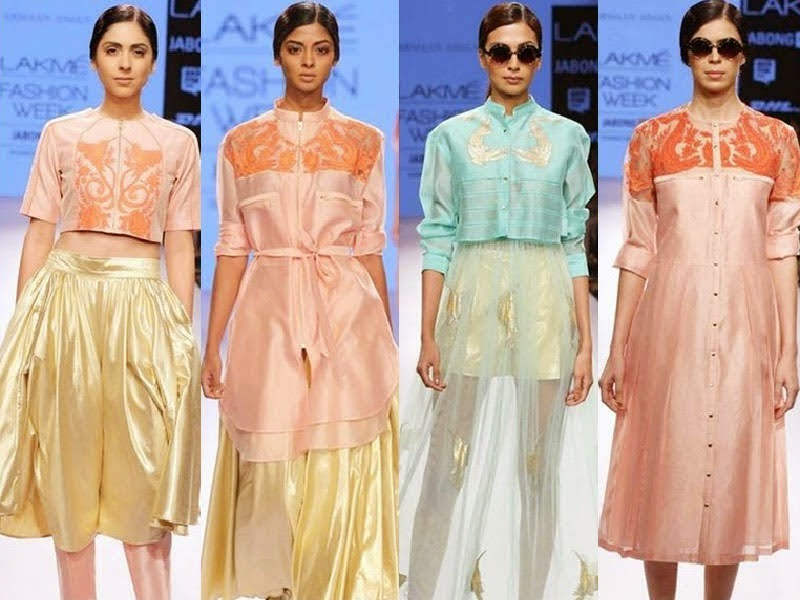 Lakme Fashion Week’s 15 year journey has left a huge mark on the fashion scene and set a benchmark for all the parties involved. With over 150 registered buyers both national and international there is a great scope for designers to venture out into the world. 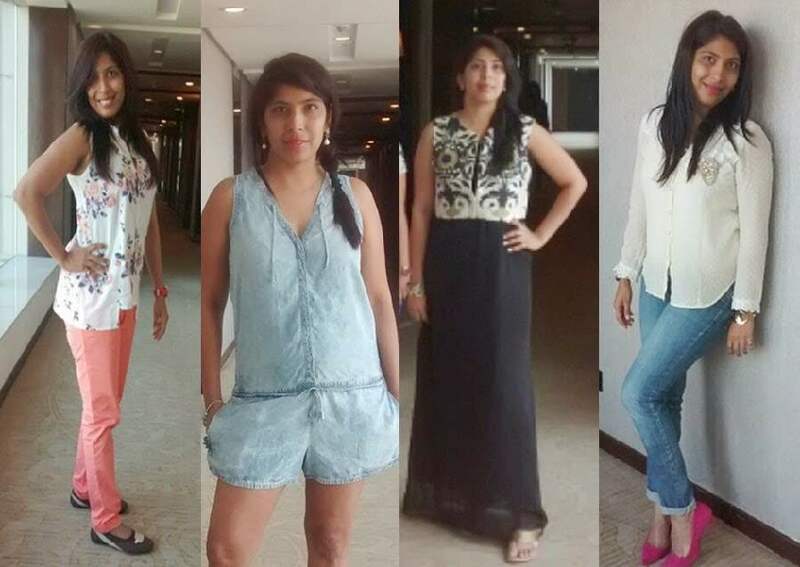 Philips India was the styling partner and as one of their pool of fashion bloggers, I was extended an invite to attend the Lakme Fashion Week, in association with Blogadda. Philips believes that every Indian has a unique style and their endeavor is to help them in expressing it with their range of hair styling products. 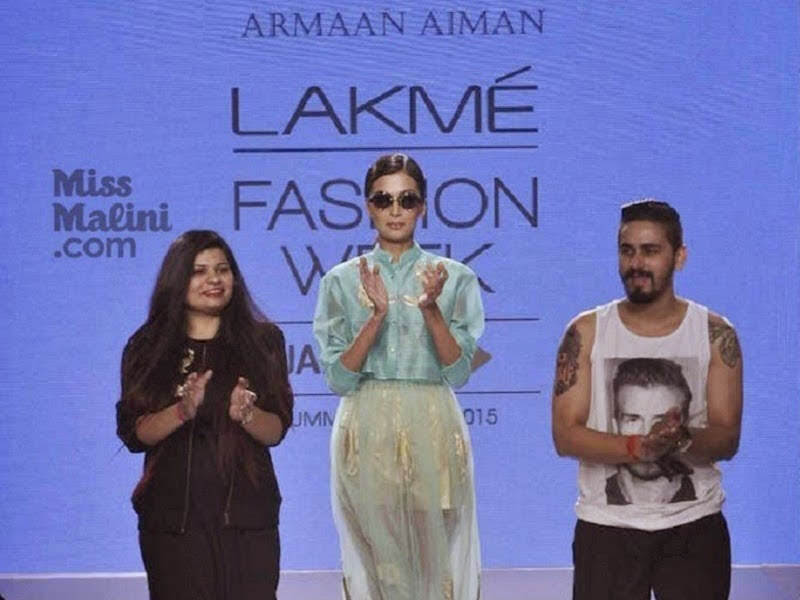 With huge names like Manish Malhotra, Raghavendra Rathore, Sabyasachi Mukherjee, Anita Dongre, Payal Singhal, Tarun Tahiliani, Krishna Mehta, Masaba Gupta, Anamika Khanna it was sure to be a fashion week to remember. However I’m not going to tell you how awesome these shows were, I’m going to tell you about some really drop dead pieces that I could steal right off the runway from young, enterprising designers. Of all the collection that stole my heart, the first that warrants a mention is the collection by duo Armaan Aimaan. Their design philosophy is based on illustrative exploration, experimentation and expression. An absolute transfusion of sophisticated and meticulously tailored garments with exquisite embroideries, their pieces are refreshingly beautiful, in gorgeous colours and dreamy silhouettes. Next up was QuirkBox’s fun collection. I loved the fact that with this collection the duo has gone a little numb on the colours that perfectly complements the woman in me. Retaining the brands strong ethos of forward fashion, great personality and individualism Quirk Box is a label to look out for. Last but not the least is my all-time favorite designer Wendell Rodricks. I was so looking forward to seeing the collection especially since I had the privilege of a sneak peak at his collection ‘POPOLOGY for Philips 2015’. Inspired by Pop Art the collection was full of patterns and vibrant colors. Perfect for the summers Wendell’s collection is a sure shot hit for me and I don’t think I can get enough of it. Keeping the latest styling trends in mind, the POPOLOGY Collection for #PhilipsLFW 2015 defined the narrative of a nostalgic 60's emotion with a fashion forward look. This year was fun even at the LFW Apartment with fellow bloggers, loads of goodies and brand initiatives. Bloggers were styled by the super hair-stylist Rohit Solanki giving us unique looks each day at the #BedHeadHairSpace. Their international stylist Savio had a session with the bloggers where he dished out styles to flaunt this summer and how best to utilise BedHead products to create looks that accentuate our face-cuts. And there were goodies tooooooo. However one thing that really disappointed me was the beauty and make-up by Lakme. There was nothing path-breaking that we have started to expect from the brand at the Fashion Week. The Sculpt look is what we Indians have going with our bone structure anyways; so nothing path-breaking there. 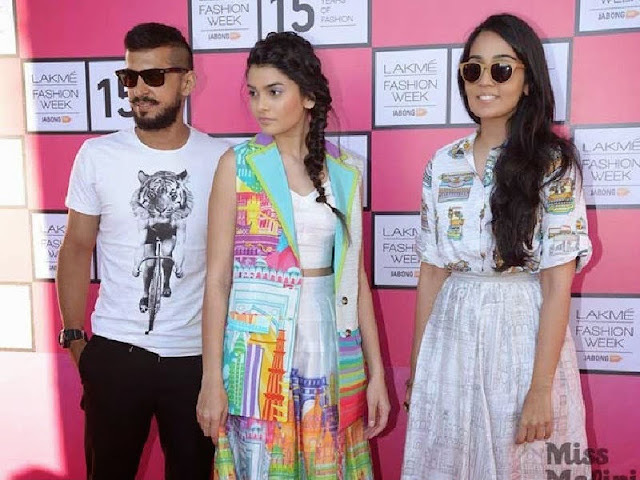 So which designers do you flaunt this summer?